Could entering heaven be like a graduation celebration? The University of Redlands celebrated a weekend of achievements: traditional students and returning adults graduated with a variety of degrees. I attended the School of Business celebrations. There was an awards ceremony, a very special dinner, other events, and the graduation ceremony. 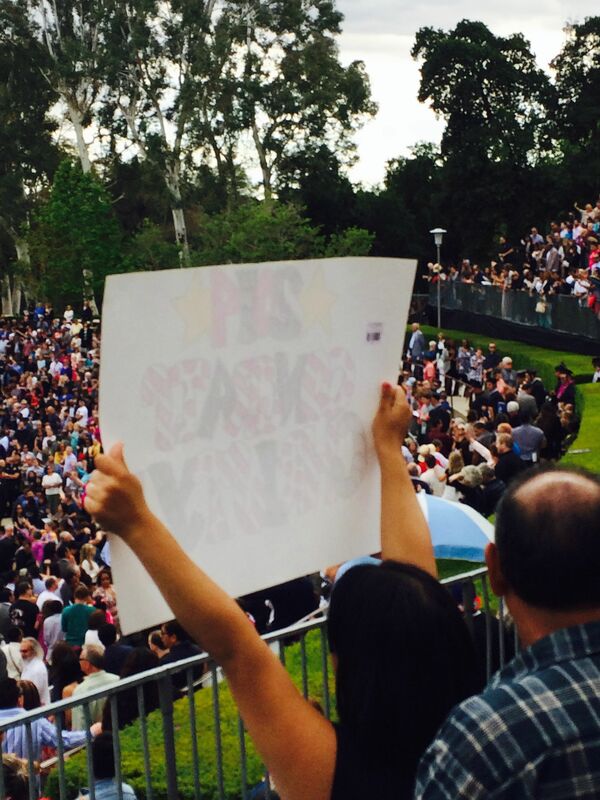 As the graduates walked into the Greek Theater, families and friends cheered, waved, held up signs and jumped up and down. Jesus told three parables about the celebration in heaven when a person is saved. Jesus’ second parable showed the great effort that the widow expended to find her lost coin. She lit her lamp, swept the house, and searched carefully. 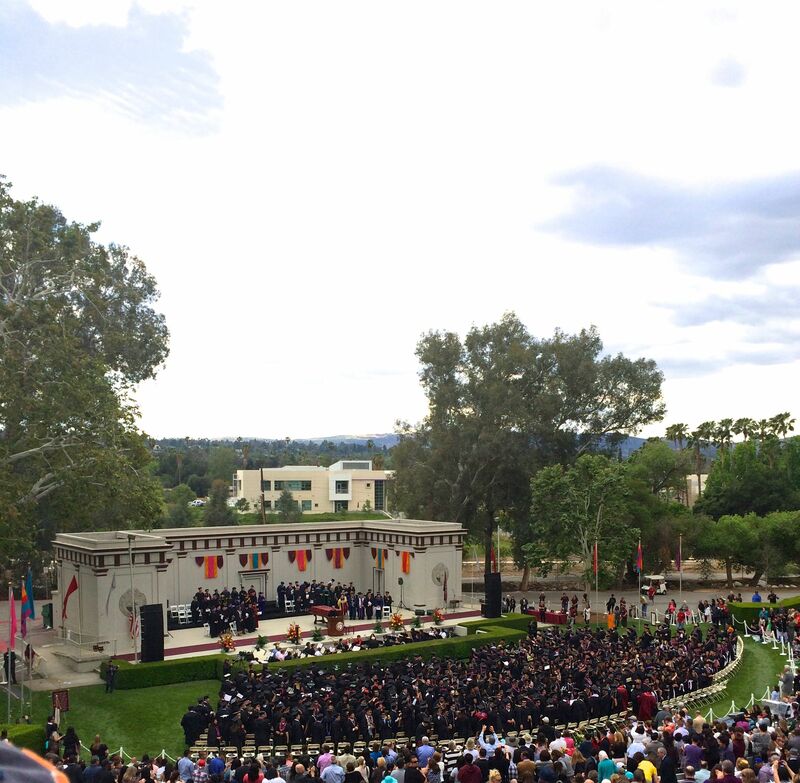 The keynote speaker told the graduates, “You earned it; you deserve it.” Cheers erupted. Arms waved. Noisemakers blared. Whistles pierced the air. When the graduates’ names were called, they walked across the stage to shake hands with the President of the university. If they knew him, they received a hug. Think of walking into heaven, and there Jesus stands, smiling. I believe that there will be no handshake. I’m looking forward to a big Jesus hug after I run to Him. 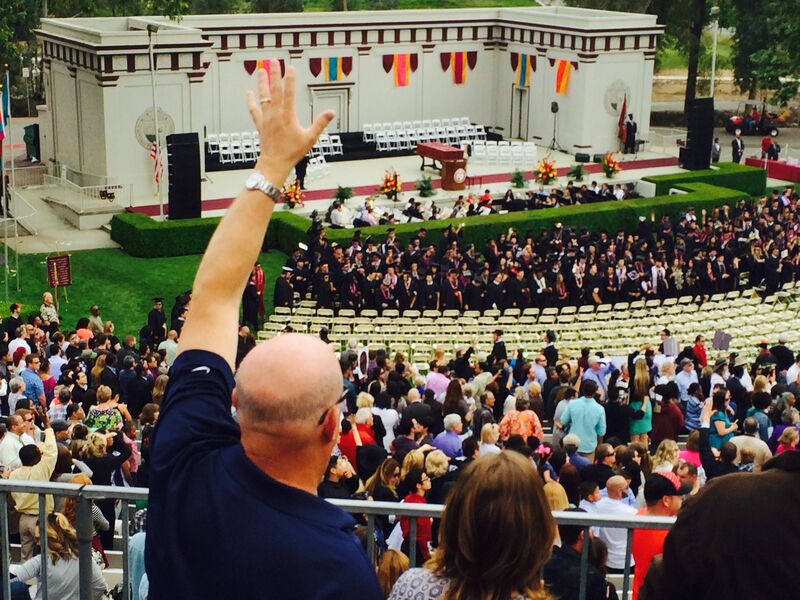 Do you suppose that celebrations like the University of Redlands graduation are a mere shadow of the rejoicing in heaven as we enter that glorious new home? Father in heaven, thank You for giving us glimpses of heaven on earth. Thank You for putting spontaneous rejoicing, exuberant celebrating of others within our hearts. Thank You for rejoicing over Your children. We look forward to seeing You face-to-face. Karen, This is beautiful. I had no idea you had suffered from fibromyalgia and had received this healing from the Lord. Truly, this is an inspiration. God bless you! Thank you for this post. Lovely thought 🙂 I am excited to see Him one day face-to-face. God bless you! Thank you for your gracious words. I’m glad that you are also looking forward to seeing Jesus face-to-face. I look forward to seeing you in heaven. God bless you.